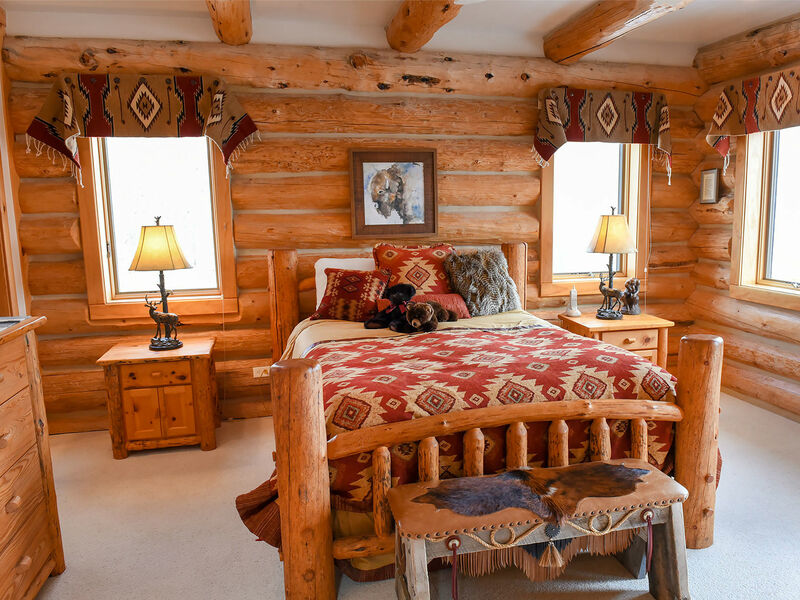 This gorgeous log cabin overflows with high end and natural wood finishes and will provide a family retreat like no other in Teton Valley. Open kitchen with a ton of natural light. Bar stools for 4, including the small saddle for the kiddos and a dining room table with seating for 6. 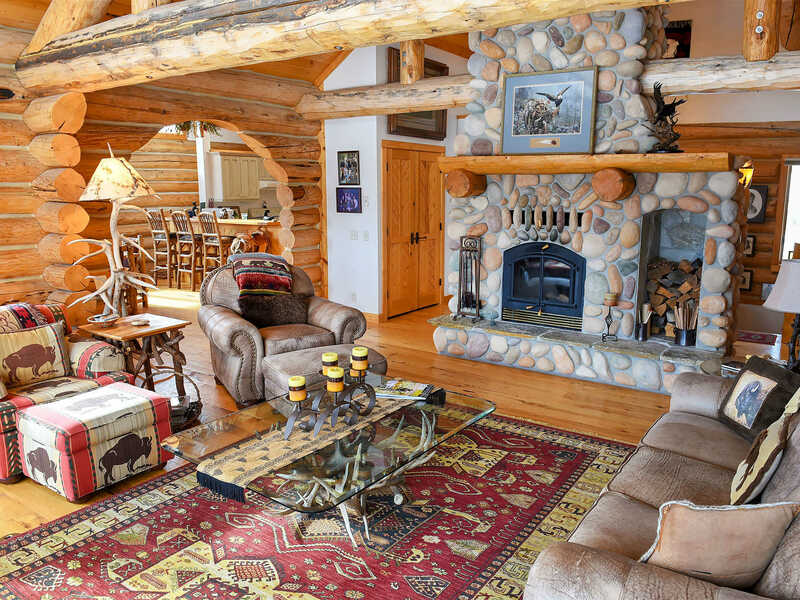 Western decorated living room with beautiful second level views on one end, and a stone hearth wood fireplace on the other. A small desk / work space is situated neatly in the corner. Primary television (SmartTV) with satellite is in the recreation room in the daylight basement level. WiFi internet is available. 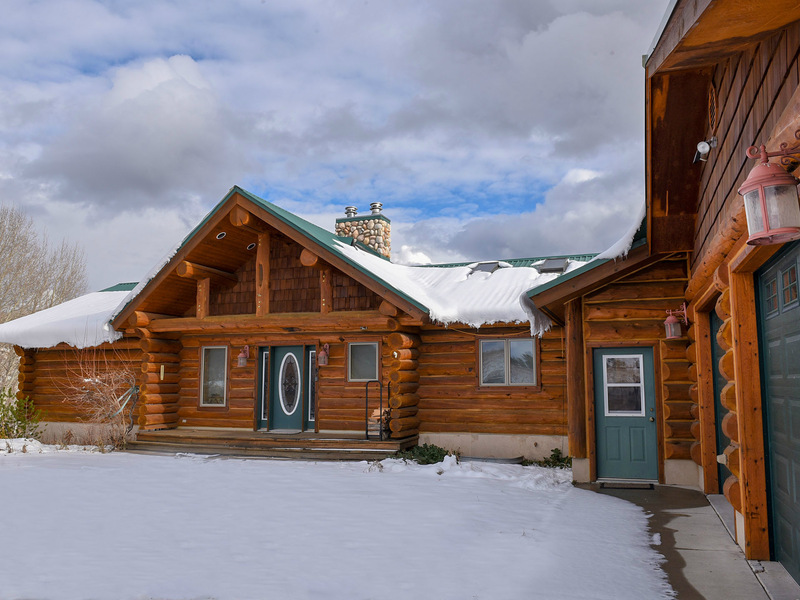 This 2 level log cabin with gorgeous decks & patios, amazing views, relaxing privacy, and stimulating entertainment for all ages is a staple of North Teton Valley. 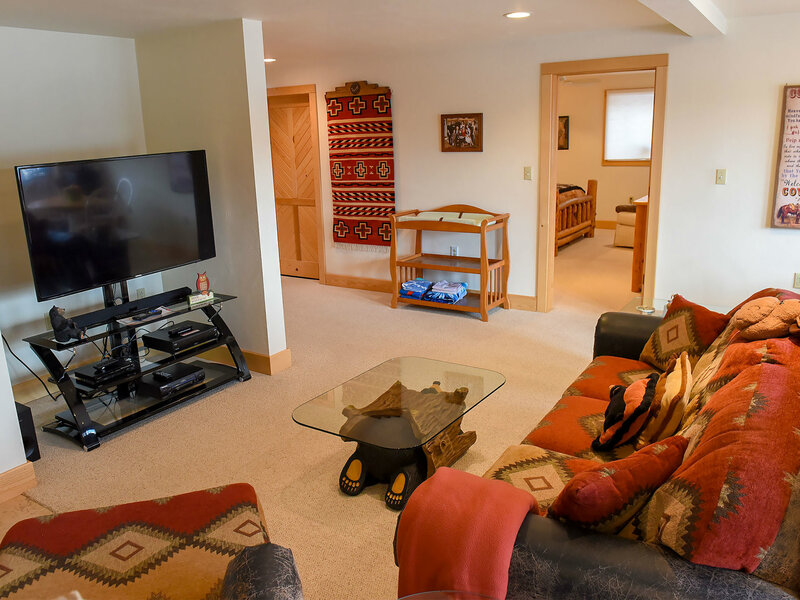 Outstanding recreation / entertainment room in the daylight basement level, same level as 3 of the bedrooms. 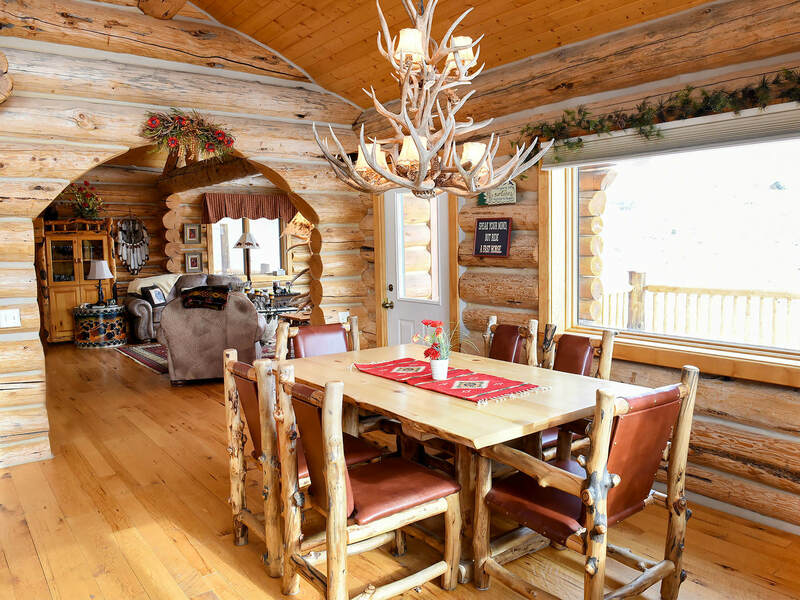 Includes mini fridge and wet bar for entertaining. Tons of kids games and a nice outdoor patio. An outdoor furniture set on this level is excellent for seasonal outdoor dining. Bit of a drive to get here - but once you're here you won't want to leave! 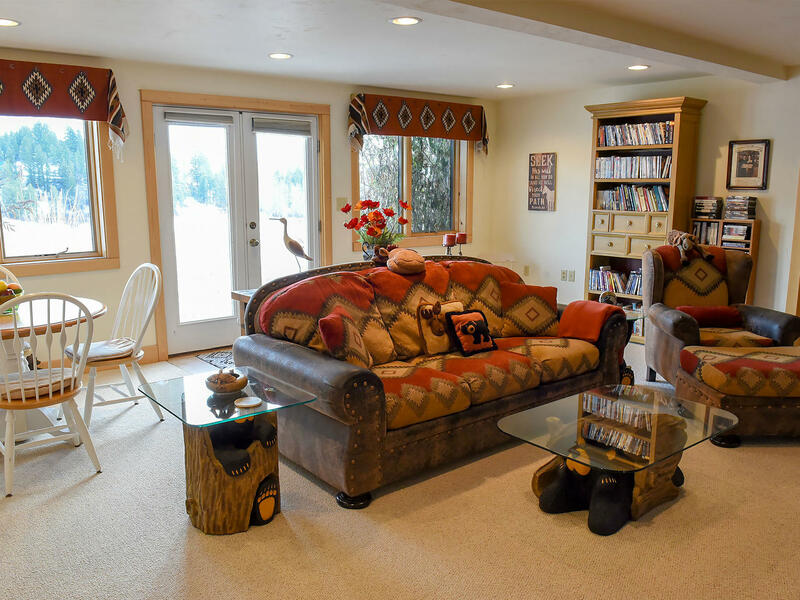 You can feel the warmth of generations of family fun enjoyed by the owners who had this house originally built.